Editors Note: This site does not formally relaunch until January 1st, but we have been asked to track developments related to the Fort Lauderdale and Tampa Bay staff transitions as well as some other news here before we launch our new look and extensive features as the new year begins. Tampa Bay’s 2014 season was one of transition. Bill Edwards’ purchase of the team should hasten a new era where the Rowdies reemerge as a major force on the local sports landscape from an imaging and marketing perspective. However, last season did not go the way that was planned on the pitch and the team cut ties with Ricky Hill after four seasons. Hill was the 2012 NASL Coach of the Year and that same season he led the Rowdies to the Soccer Bowl title. From a personal perspective, Hill was probably the single easiest NASL coach to work with when I served as league’s Director of Communications. He is an outstanding tactical manager who prefers a stylish passing game to the type of dour long-ball football you often see come from Hill’s native England. He is also one of the most successful black coaches ever produced from the British Isles. But this season despite spending lavishly on new players, the results simply weren’t good enough and as the season wore on Hill’s personnel decisions became more bizarrely unpredictable. It became plainly obvious by season’s end that a change needed to be made by the club. After taking the options for 2015 on just eight players, the Rowdies released Hill the same day that Farrukh Quraishi was named President and General Manager. Quraishi’s pedigree is second to none in Tampa Bay area soccer and his appointment was statement of intent about how serious the Rowdies are about getting things right. Perry Van der Beck, a former teammate of Quraishi’s with the Rowdies in the 1970s was reassigned to the role of Assistant GM. Unsurprisingly Thomas Rongen, the former Fort Lauderdale Strikers player and coach was named as Hill’s replacement in early December. Teaming with Quraishi in 1996, Rongen led the Tampa Bay Mutiny to the best record in MLS. Rongen also won the 1999 MLS Cup with DC United and led the US U-20 Men’s National Team to knock-out stages of the U-20 World Cup in 2005 and 2007 beating Argentina (with Leo Messi) and Brazil respectively in those tournaments. Rongen’s appointment was a no-brainer and was met with great enthusiasm from the Rowdies faithful. By bringing in Quraishi and Rongen the Rowdies have sent a statement of intent to the rest of NASL and US Soccer community. I firmly believe our readers would be hard pressed to find a single team in MLS or NASL that have a more impressive duo of hirings this offseason. 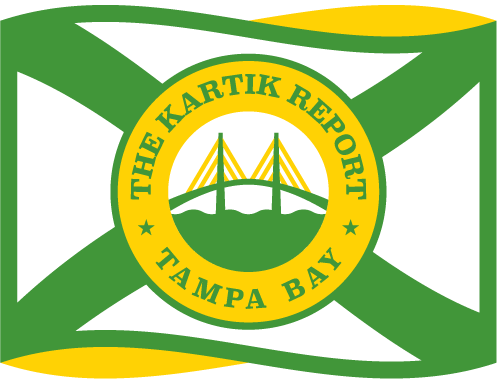 With the new ownership in Fort Lauderdale thus far finding this offseason to be a difficult transition period, the Rowdies have a unique opportunity to recapture the crown of top NASL team in the state of Florida. Jacksonville Armada’s entry into the league for the 2015 season coupled with Orlando City’s move to Major League Soccer means more eyeballs than ever will be on professional soccer in this state. That is a good thing as the Rowdies appears poised for big things.